Song Of The Week - The Hubbards 'Pin'. This week's SOTW is from the locally infamous Hull band 'The Hubbards' with their track 'Pin' (which has a free download *wink* *wink*). The Hubbards have been around since they met in school and picked up some new members in college. Unlike most teen bands the Hubbards all went off around the country for higher education but yet stuck together through thick and thin. The Hubbards have got to that point in their career where if there's a gig in Hull that is any good, The Hubbards will be on the line-up. 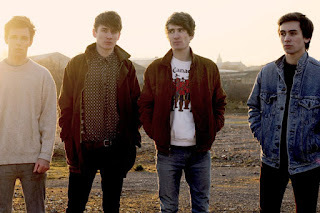 Having being featured on BBC introducing numerous times I don't see it being long until The Hubbards are the band to know. The Hubbards both have the class and the talent to go far in the music world and I can foresee a bright future for the lads.